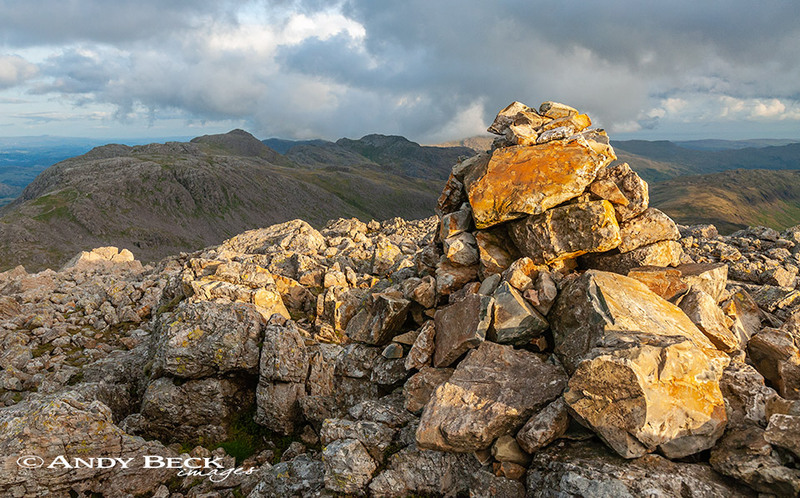 Summary: Great End sits at the northern end of the Scafell massif and it’s dramatic cliffs are easily identified from as far away as Keswick and beyond. 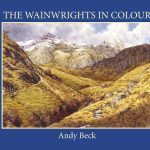 Due to its name this fell is very popular for those completing a round of the 214 Wainwright fells. Wainwright has this hill on all of his original lists. The fell can be ascended with relative ease by a good path that comes up from Calf Cove with another but less well used path climbing up past Lambfoot Dub but from other directions there are more challenging routes as Great End’s high ground can only be attained by steep routes, some of which require hands on scrambling. 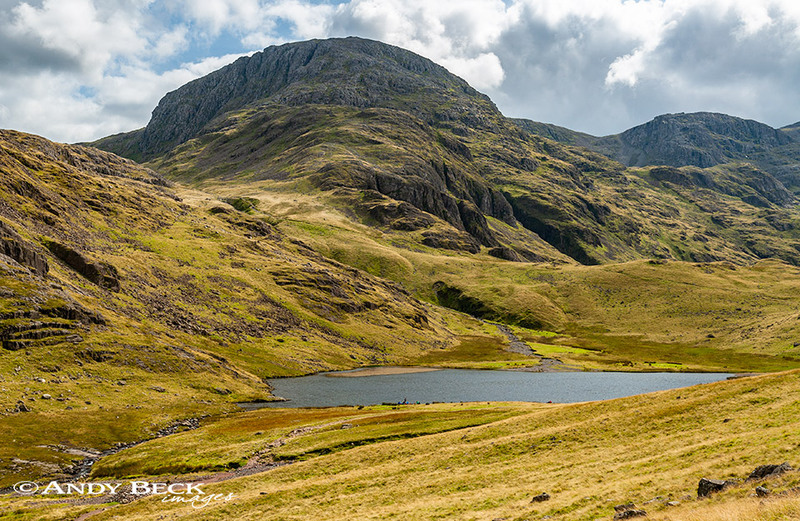 The buttresses of the crags above Sprinkling tarn are generally out of bounds to walkers but with care a route can be found up The Band, as described by AW in the Pictorial Guide. Skew Gill on the north-western flank of the fell provides a challenging and dramatic way to reach the higher ground but be warned, there are sections of scrambling which can be wet and slippy after rain. Topographical details: The height given by Wainwright of 2984′ (910m) has remained unchanged and the highest point is at GR: NY22672 08385 where a small rough cairn sits on a rocky platform, this is the Wainwright summit. Another cairn 150m to the north-east looks to be of a similar height but it is actually 1m lower. Points of interest: Great End is real mountain territory and here you can get close up to near vertical crags. Care should be taken when looking down into the gullies from above but of interest is the chockstone in Cust’s Gully and the extensive views of Borrowdale framed by the cleft of Central gully. As to be expected from such high ground the views are impressive in nearly all directions. Tarns: Lambfoot dub is a delightful (and peaceful) pool on the western slopes of the fell. Sprinkling tarn sits at the foot of the northern crags. Adjoining fells: Ill Crag to the south-west is the nearest fell linked to Great End by high ground. 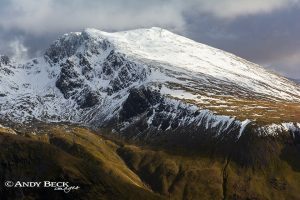 Esk Pike is to the south-east but requires a descent and ascent over Esk Hause to be reached. Nearest facilities: Car parking (free) is available at either Wasdale Head or Seathwaite. Pub and accomodation available at The Wasdale Head Inn. Small shop at The Barn Door, Wasdale Head. Star rating: (3.7 / 5) The excellent views, rock scenery and routes of ascent with variations of challenges gains Great End this star rating. 23/5/14 Great End via Bessyboot and Glaramara.